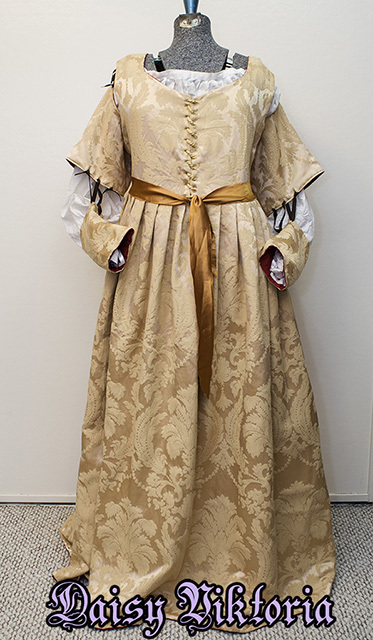 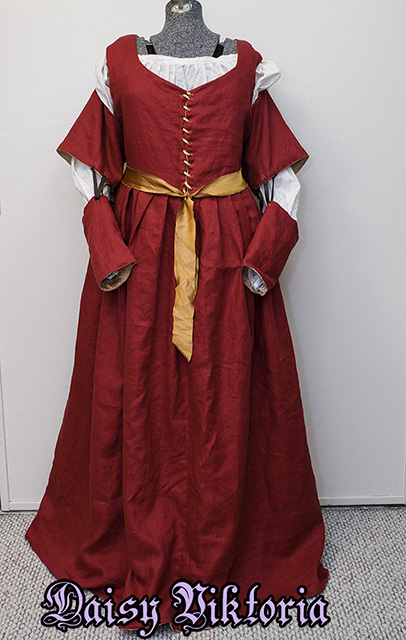 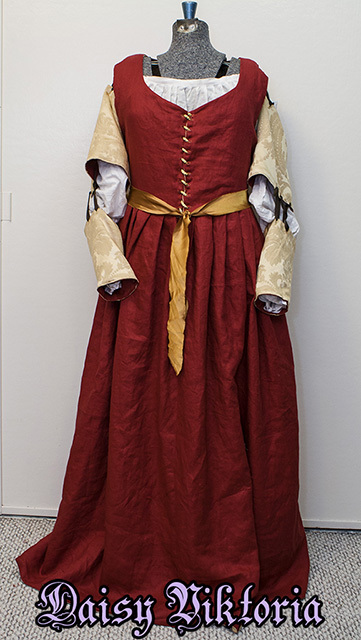 I made this Italian Renaissance dress for a customer. 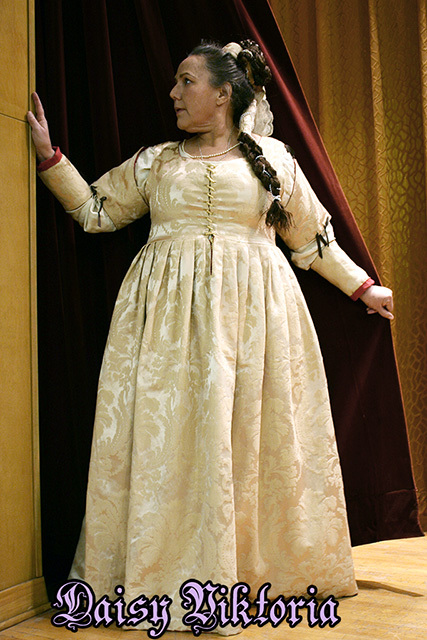 She chose gold brocade and red linen. 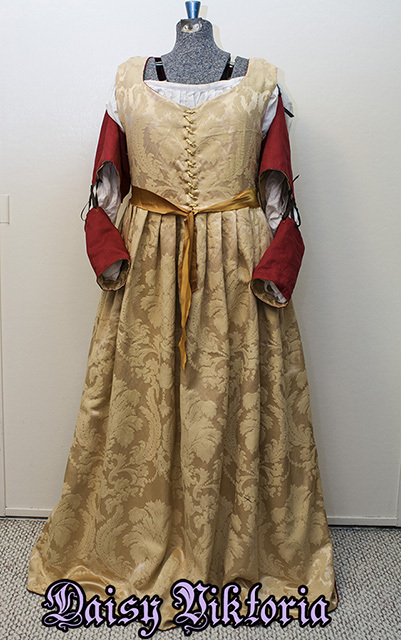 The whole dress is reversible, including the sleeves, so she has multiple looks in one garment. 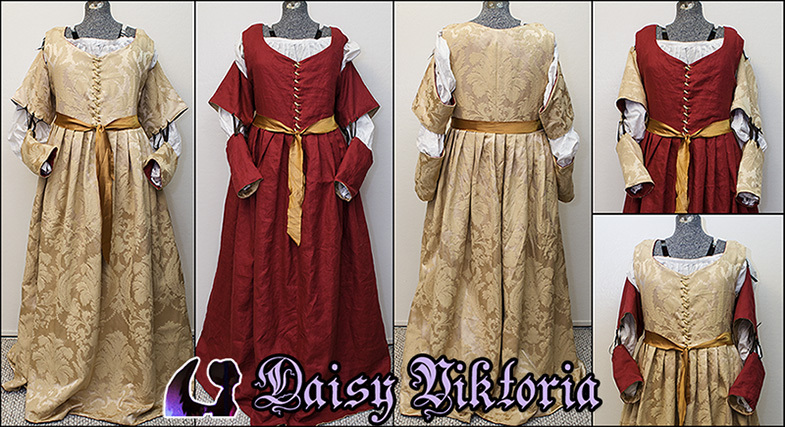 We also chose a very standard style so she can wear it multiple ways for many occasions.